Painting & prints of Buachaille Etive Mor, Glencoe, Glen Etive, Scottish Highlands. 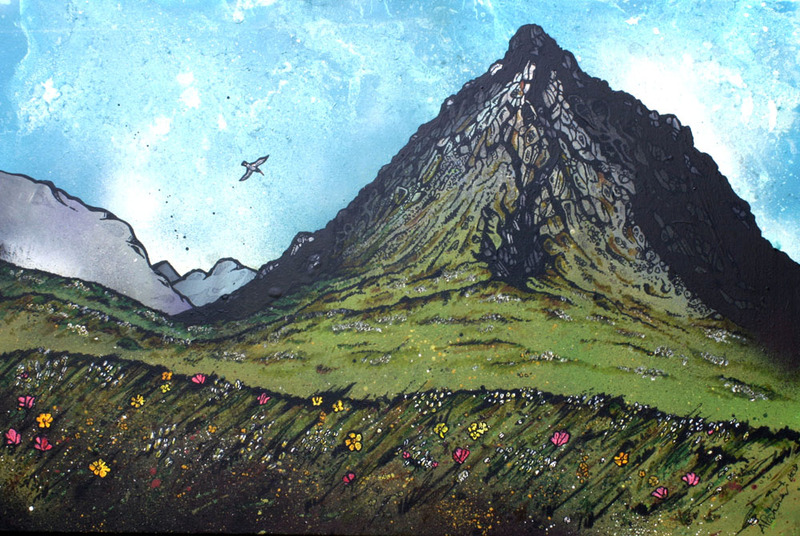 An original painting and prints of Buachaille Etive Mor, Glencoe, Glen Etive, Scottish Highlands. An original abstract, atmospheric landscape painting of Buachaille Etive Mor, Glencoe, Glen Etive, Scottish Highlands. Paintings & prints of Buachaille Etive Mor Summer, Glencoe, Glen etive, Ranoch Mor Scottish Highlands by Andy Peutherer.